It’s your typical late night London problem: you need to get from A to B but the Tube is closed, night buses are a nightmare, it’s too far to stumble home and you’d never dream of straddling a bike. Yes, these days there’s Uber, which has been in a constant tussle with the city’s authorities about how they can operate in the capital. In any case, it can be a competitive market at that time of night and riding in an Uber is probably not on your must-do London bucket-list. 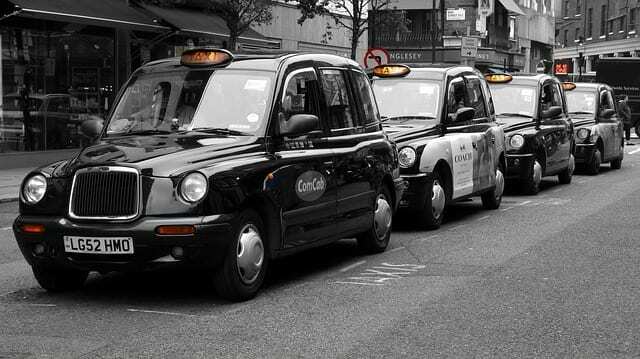 So, what about the good old reliable London black taxi? New York is famous for those mustard yellow cabs that cater for all the busy city-goers and late-night stragglers roaming around the city. The London alternative are these no less iconic black, boxy time capsules fit for your turn of the century English gentleman. With doors that open backwards, seats that face inwards and enough room in the back to stash a spare bale of hay, there’s no doubting these cabs, while modern, are an ultra cool blast from the past. But while great to get your Instagram on, they certainly don’t come cheap, so unless you’ve got a bit of cash to throw around or there’s a gang of you, they’re probably not your wisest way home when it comes to your purse. Of course, if money is not the issue (no, we’re not at all jealous) then do at least mind the front door. Most black cabs don’t have a passenger seat, just a door, and drivers tend to get antsy if you try opening it even if all you’re meaning to do is ride shotgun. Just get in the back. At the other end of the price scale, but equally as photo friendly, are rickshaws. It’s just like taking a romantic horse and carriage ride through Hyde Park except that instead of a carriage you’ve got a two by four on some wheels, and instead of a set of thoroughbreds and a whipped up driver you’ve got a muscular man on a bike. Oh and did I mention you’ll be weaving your way through London’s never-ending traffic? But rickshaws are load of fun especially if you happen to flag down a seriously pimped-out one – how do gold plates, zebra-print seats and blaring music sound for your ride home? Price is usually negotiable.